Ludwigshafen and Eindhoven – BASF and Philips have achieved a practical breakthrough in the development of OLED (Organic Light Emitting Diode) technology that allows it to be integrated in car roofs. The OLEDs are transparent when switched off, allowing for a clear view outside the vehicle, yet providing light only within the vehicle when switched on. This OLED lighting concept for car roofs is the result of a longstanding cooperation between BASF and Philips in the research and development of OLED modules. In addition to offering completely new design possibilities, the transparent OLED lighting concept also allows new approaches to automotive engineering. 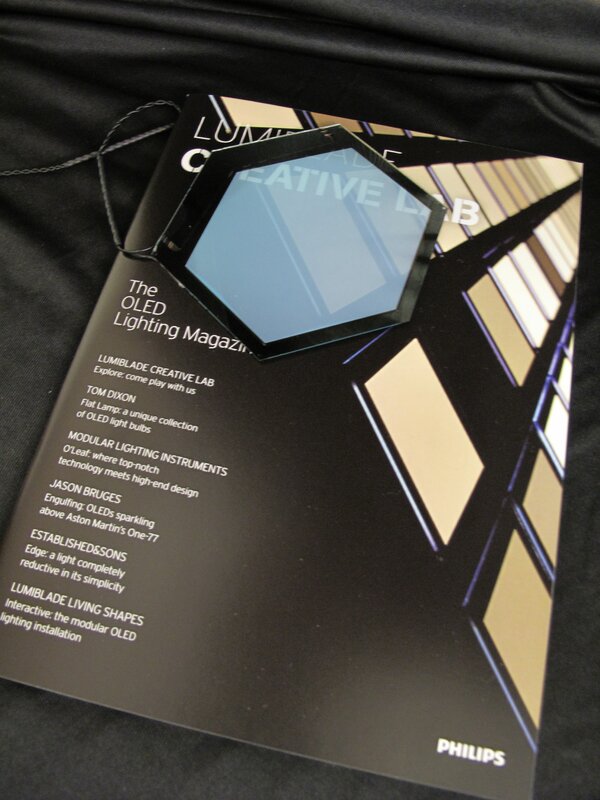 The transparent OLED sandwich structure can be combined with equally transparent solar cells. BASF and Philips have cooperated closely since 2006 within the OLED 2015 initiative of Germany’s Federal Ministry of Education and Research (BMBF). BASF develops organo-chemical materials such as dyes that are used in the development and manufacturing of OLEDs by Philips. Working together, the two partners put the innovative transparent OLED lighting technology into practice on a car roof. 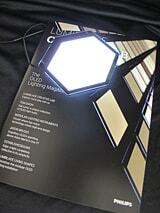 OLED technology offers the advantage of high energy efficiency, in addition to creative flexibility and new options for designers. OLED light sources are just 1.8 millimeters thin and can be transparent. The entire surface of an OLED illuminates with diffused light, making it a very soft light source that produces less harsh shadows compared to point light sources. The joint “TOPAS 2012” project was launched in January 2010, marking the second phase of the BMBF’s OLED 2015 initiative. “TOPAS” refers to “thousand lumen organic phosphorescent devices for applications in lighting systems.” In this project, the consortium partners (which include BASF and Philips) will focus on developing innovative materials and component architectures as well as new production machines for lighting solutions with highly efficient organic light-emitting diodes. Philips&apos; transparant OLED module for car roof lighting concept developed with BASF emits light into the vehicle when switched on. Philips&apos; OLED module for car roof lighting concept developed with BASF is transparant when switched off. Transparent OLEDs are still in the research phase. Philips is leading research in this area and is the first to demonstrate transparent OLEDs in an application environment such as the car roof lighting concept with BASF. BASF Future Business GmbH, a 100 percent subsidiary of BASF SE, was founded in April 2001. It aims to open up business areas with above-average growth rates that lie outside BASF’s current activities. The company focuses on chemistry-based new materials, technologies and system solutions. BASF Future Business GmbH commissions research from BASF’s R&D units and cooperates with startup companies, industrial partners, universities and potential customers. Further activities include acquisition of direct stakes, initiation of joint ventures and provision of venture capital via the subsidiary BASF Venture Capital GmbH. Further information on BASF Future Business is available on the Internet at www.basf-fb.de. BASF is the world’s leading chemical company: The Chemical Company. Its portfolio ranges from chemicals, plastics, performance products and crop protection products to oil and gas. We combine economic success, social responsibility and environmental protection. Through science and innovation we enable our customers in almost all industries to meet the current and future needs of society. Our products and system solutions contribute to conserving resources, ensuring healthy food and nutrition and helping to improve the quality of life. We have summed up this contribution in our corporate purpose: We create chemistry for a sustainable future. BASF posted sales of about €63.9 billion in 2010 and had approximately 109,000 employees as of the end of 2010. BASF shares are traded on the stock exchanges in Frankfurt (BAS), London (BFA) and Zurich (AN). Further information on BASF is available on the Internet at www.basf.com or in the Social Media Newsroom at newsroom.basf.com.